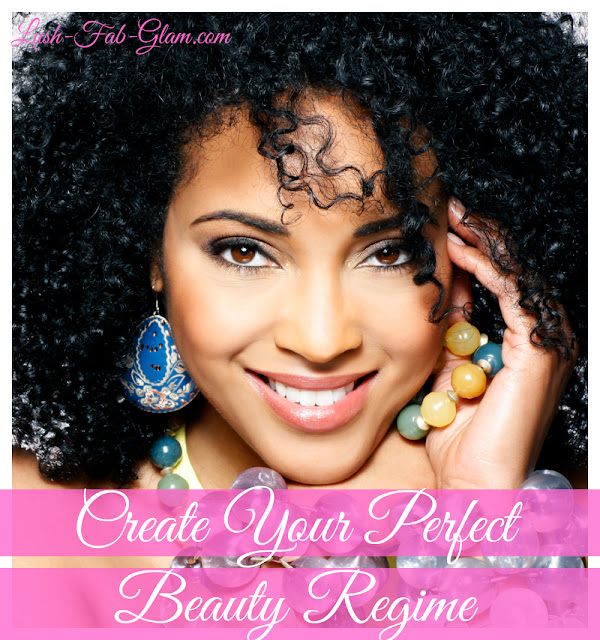 Create Your Perfect Beauty Regime With These Household Items. This summer say goodbye to your oily hair, dry lips, discolored nails and show off your longer, more voluminous lashes, fuller, sexier lips and luscious hair. When you try these fab beauty tips that will work wonders on your skin and hair and transform your daily beauty routine! This natural lip plumper is just what you need for fuller, sensual lips. Simply apply a little peppermint oil on your lip before applying your favorite lipstick or lip-gloss. Fab Tip: You can also mix in a few drops of peppermint oil with your lip balm or coconut oil for an easy on-the-go application. Delicious red pomegranate seeds make the perfect lip and cheek stain. Crush and mix a few seeds with your plain lip balm and and apply as needed to your lips. The fatty punicic acid in pomegranate will also help to keep your skin/lips moisturized while on the-go. Want longer fuller lashes instantly? Skip the expensive over-the counter lash lengthening products and head to the baby's nursery or grocery store baby aisle for a bottle of Baby Powder. Makeup artists use this trick and you can too. First curl your lashes, apply a coat of Mascara, then lightly dust baby powder along your lashes with a Q-tip or makeup brush then add another coat of mascara and Voila you've got femme-fatale lashes! Got static in your hair, grab a few dryer sheets from the laundry room and gently massage them in your hair for a static-free hair day. Is it time for a hair color boost? Revitalize your Brunette strands by brewing coffee and apply it to your hair once it's cooled. Leave on for 10 to 20 minutes then rinse and condition hair. Unsweetened cocoa powder mixed with cornstarch is a fabulous way to get rid of greasy hair while boosting the brunette color as well. Fab Tip: It's also a quick natural way to cover gray hair! Get rid of oily flat hair and instantly add volume by heading to your kitchen for cupboard for the box of cornstarch. It works as well as a dry shampoo soaking up sebum and leaving you with clean roots and no greasy look to your hair so you can style away! The hairsprays, gels and other products we use to keep our hair looking beautiful all build up by the end of the week. The Acetic Acid in Apple Cider Vinegar is just what you need to remove product build up, get rid o dandruff and restore your hair's pH level all while strengthening it and promoting new growth. To use mix 1/2 a cup of Apple Cider Vinegar with 4 cups of water and use it to your rinse your hair after shampooing. As much as we love nail art and keeping our manicures fresh, continuously applying nail polish/lacquer to our nail beds gradually discolors them. Thankfully there's an item that we use everyday to keep our pearly whites sparkling and it works just as well to whiten, yellowing nails. Fab Tip: Mix a few drops of lemon juice (a natural bleaching agent) to your toothpaste and apply to your nails for a 10-15 minutes. 100% pure coconut oil is an excellent way to keep your skin moisturized throughout the year. Apply a small amount to your still wet skin, right after taking a shower or you can also exfoliate your skin by combining it with sugar. Make your applied perfume last longer especially in the summer heat when it evaporates quickly by dabbing a touch of petroleum Vaseline to the area on your skin where you will spray on your perfume. The oils in petroleum jelly will help prevent evaporation letting that fabulous scent last much longer! Great natural household tips to carry on. They cost less than any other expensive skin and hair treatments that offers the glow and health with no side effects.